It’s Tax Credits Annual Review time again! 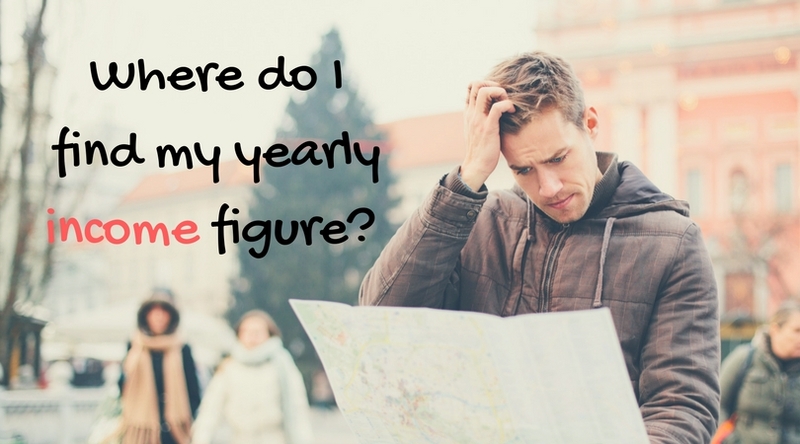 What was your yearly income? You have all your financial documents in front of you but there are so many figures, profit before tax, profit after tax, not to mention dividends! Which one do you need? Whether it’s for tax credits or a mortgage application, when you work for yourself, the simple question of yearly income can be quite tricky to answer. The first thing to remember is that it’s your personal income that HMRC is interested in for tax credits, not your business. A mortgage provider may look at both, but often they will start with your personal income. So put aside the business accounts for now. As it’s your personal income, the place to go is your last personal tax return. You may also know it as your self assessment tax return. What you are looking for is the part of the return called the SA302, which is your tax calculation. If you’ve had your tax return prepared by an accountant and you can’t find this part then give them a call as they should be able to produce it for you. You can also see this the tax calculation by going to your online tax account. The tax calculation should show your total taxable earnings for the year and also show the different elements from employment and pensions (from your P45 or P60), self employment, dividends, savings interest, rental income etc. Whether you are a sole trader or a limited company director, you are looking for the total income figure before the personal allowance. If you are a sole trader or in a partnership this will be your self employment figure. If you are a limited company director you’ll likely have a combination of salary and dividends. There may be other income from employment, savings, investment, property rentals etc. It’s not just the business income that counts, you need to take your total income figure. That’s true, the income as per your self assessment can be quite different from your “real” income for a number of reasons. The way in which accounts are prepared, doesn’t always reflect the true cash situation. What’s allowed as a taxable expense can be different to what’s allowed in the accounts, in particular for entertainment and capital allowances. You might have included a salary in your accounts and through payroll but not actually been able to afford to pay yourself the money. Even if you didn’t take the money, it still counts as personal income. There might be a timing difference e.g. a dividend taken in March will fall in one tax year but one taken in April will fall into the next tax year. The personal tax will be due 10 months after the March dividend but a whole 21 months after the April dividend. Some difference are due to accounting or tax conventions which can’t be altered, you have no control of them. Other differences are likely to have been the result of conscious decisions that you and your accountant (hopefully) made together. For example, the amount of capital allowances claimed, the timing of dividends, the salary level for a director. These decisions are generally made to reduce the tax bill. Occasionally you might be trying to show higher income e.g. for a mortgage application in a particular tax year. That’s why when you are making decisions about your business and your business tax, you need to take the big picture into account. This might also include thinking about other members of your household. Sometimes the decisions that give the lowest tax bill aren’t necessarily the right ones for your personal situation or future plans. My tax return isn’t done yet! The tax year ends on 5 April but the self assessment deadline isn’t until 31 January which make it very easy to just leave the accounts and tax return until the nights start drawing in at the back end of the year. But that’s no good at all if you need your income figures quickly for tax credits renewal (31 July deadline) or a mortgage application. This is when regular bookkeeping is a real bonus; come April all the information should already be there, ready to finalise for the year end. Much quicker then wading through a year’s worth of invoices and receipts in one go or hoping that your accountant can work speedy miracles. Even if you end up having to estimate your business income, there are other elements which you should be able to include. Employment income – from your P45 or P60 form. Dividends from your own business – if you’ve had a financial year end fall earlier the tax year then you should be able to get your dividend figure from your last set of accounts. If you’ve still get your accounts in progress then you’ll need to wait. Other investment dividends – for dividend certificates during the year. Why do my accounts show so many different types of profit?